We can’t wait to launch this new version but still have to work on it a little more. The wait shouldn’t be too long though. We expect to relaunch ViralNetworks sometime in January. The beginning of 2010 looks very promising! We just couldn’t find a better way to start the new year! We’d also like to take this opportunity to thank all the members who have been supporting us and especially those who gave us their feeback and suggestions for improvement. Thanks a lot everyone! Only a few weeks to wait now… Get ready for a massive relaunch! On a sidenote, for those who are wondering about November’s payments, they will all be made next week to anyone with more then $10 pending for more than 2 weeks. Thanks for your patience! Keep checking the blog for more news and updates! I really like the new look, I think it’s a better layout and graphics. I know from personal experiance, that doing this is either very costly or very time consuming! Great Job, and can’t wait to see the new site when it’s finished. This new version will be welcome if it will strenghten some items like login to blog.at with vn data. 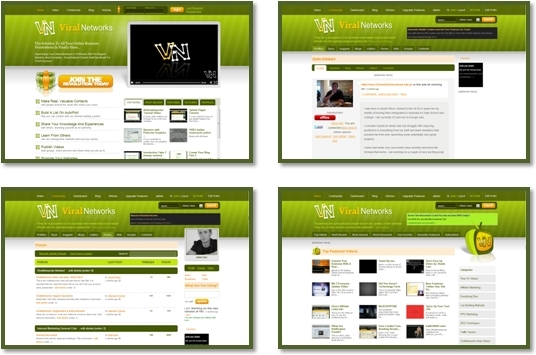 I am really looking forward to the New Viral Networks Website Coming Soon. I will be sure to be a little more active when its setup. New Features…I love it.